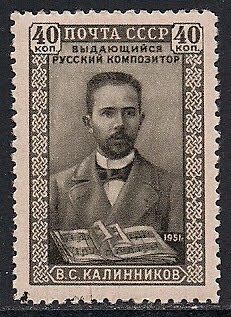 Vassily Serge Kalinnikov(1866-1901), Russian composer, studied at the school of Music of the Moscow Philharmonic Society, then played in the theater orchestra. He composed symphonies, and orchestral music. This post is very useful and very interesting, Really this Post is nice information,Keep it up.